A few months back, I mentioned a deal from Canvas People for getting a free 8×10 canvas print. Well, that offer has passed, but they have another one up for grabs right now. Canvas People is giving a $25 discount plus free shipping on any of their canvas prints. This evens out the playing field for those of you not living in the US (I’m assuming there are no location restrictions since I didn’t see any on their site). This post contains affiliate links. 8×10 canvas prints start at $50 without the discount, and go all the way up to 18×24 for $100 without the discount. Not bad pricing considering that includes a gallery wrap and protective coating. Frames and photo touch-ups come at an extra cost. [tweetmeme]Canvas people has also added some features and helpful hints to the upload/order process. They give you a preview of the image as it will appear on the gallery wrap and they’ve added some extra explanations for sizing your images prior to upload. I don’t know how long this offer will last, but if you’ve been thinking of doing a canvas print, now is the time! This entry was posted in Partners and tagged canvas, deal, discount, offer, photography, print on July 7, 2010 by Brian Auer. This entry was posted in Partners and tagged advertiser, partner, photography, proud photography, sponsor on April 6, 2010 by Brian Auer. Some of you will recall that I added a member to the Epic Edits team for the position of ad manager. Well… unfortunately, unforeseen events (not at the fault of Randy or myself) caused that partnership to dissolve. It’s too bad, really. He was just getting settled in, but Randy runs his own business and he had to part ways in order to look after his main revenue generator. So… I’m not sure what to do with the ad manager thing at the moment. I should just do it myself, but I don’t have the bandwidth. If anybody out there was considering the position, feel free to contact me. And if you need a little monetary inspiration, this position (right now) could pay out over $500/month for less than 20 hours of work/month. [UPDATE 2010-03-29] The open position has been filled. This entry was posted in Partners and tagged advertiser, partner, photography, proud photography, sponsor on March 1, 2010 by Brian Auer. Also… stay tuned for an announcement in the next few days that should help fill out the remaining ad spots — but I’m going to need some help on this one. This entry was posted in Partners and tagged advertiser, partner, photography, proud photography, sponsor on January 15, 2010 by Brian Auer. Please join me in welcoming Wix as our newest blog sponsor! They’ll be filling the home page banner for at least the next month, and those of you who visit the blog via the web may have already seen their banner displayed. Wix offers up a simple and powerful online platform for creating Flash websites — and for free! They also have a premium service that allows you to use your own domain, display your Wix-created site without ads or Wix logos, extra storage, premium support, and a few other goodies. As photographers, you may be asking yourselves “How is this relevant to me, and why is Brian taking on a Flash website generator as a sponsor?” Yeah, just hear me out. 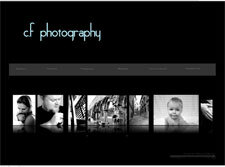 Visit their sample websites and click on “Photographers” (2nd link down on the sidebar). Go ahead and flip through the sites and tell me that isn’t cool! 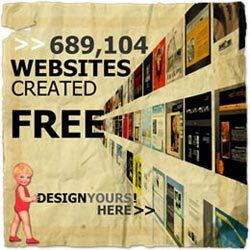 These are all very unique sites and quite professional in appearance — definitely worth a look. My thought is this… If you want to put together a portfolio or a photography website to display your work, but you don’t have the know-how or funds to create something on your own, Wix is the place to go. Hey, if nothing else, start off with a free site and build it up until you’re satisfied. When you get the dough to upgrade to the premium package, go ahead and get your own domain. At that point, you’ll have an awesome display of your work. If you want to learn more about Wix or about how their site works, be sure to check out their FAQ in addition to the main site. They cover topics such as search engine friendliness, PayPal integration, stats packages, and more. So who is this online service for? I’d say it’s a very good option if you don’t already have your own photography site or portfolio, you don’t want to spend a bunch of money to get your site going, and/or you don’t want to deal with the technical side of website creation. Hell, even if you already have a site, you’ve got the money and know-how for a custom site — you still might get a kick out of creating a Flash site through their platform. If any of you out there already have a Wix-generated website, let us know in the comments so we can check it out! This entry was posted in Partners and tagged flash, photography, portfolio, sponsor, website on June 4, 2009 by Brian Auer. Please join me in welcoming CheckCost to our list of publication sponsors! They’ve decided to grab a sidebar position and the only spot on the home page! CheckCost deals with consumer goods, including many electronics items (plus a lot of other stuff). They provide a central location for price comparisons, reviews, and ratings of the items found on their site. For each item on their website, multiple vendors are shown along with the price they offer, availability of the item, a vendor rating, and more. The main category of offerings that we’re probably interested in is photography, but CheckCost has a few others you might want to search through. Computers, software, and other electronics are just a few of the other categories that may be useful for us photographers. So next time you’re in the market for some new photography equipment (or anything else you can buy online), head over to CheckCost and take a look at the prices and vendor ratings. Paying too much for something is never fun, and dealing with sleazy vendors is a nightmare — so let CheckCost be your guide. This entry was posted in Partners and tagged camera, checkcost, electronics, photography, price comparison, review, shopping on May 30, 2008 by Brian Auer.